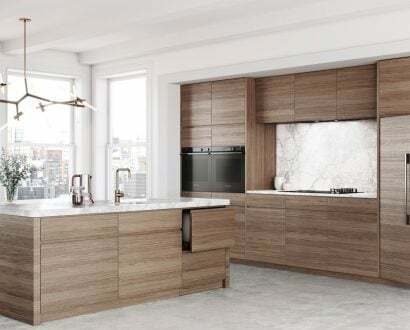 Creating a greener world, raising awareness about endangered animals and fighting deadly diseases are a few of the important causes luxe businesses are embracing. 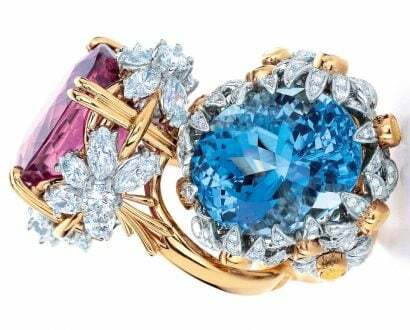 With a hefty market value of €249 billion (A$390 billion), the global luxury brands industry holds substantial power. 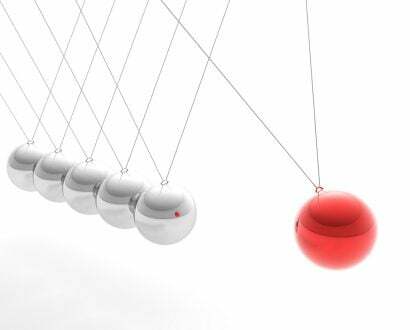 While many companies focus on chasing profit, many are also using their power for philanthropy. 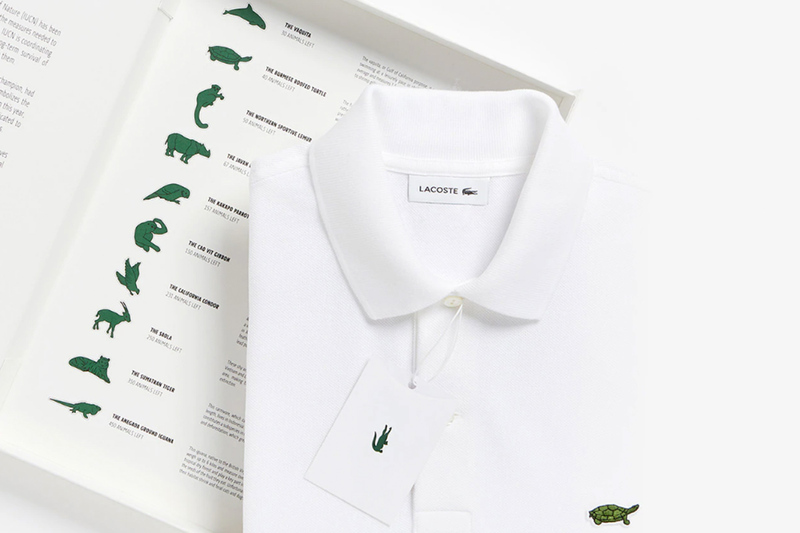 Whether it’s Lacoste changing designs to raise awareness about endangered animals or Gucci striving to end online bullying, here are 7 luxe businesses on a mission to create a better world. 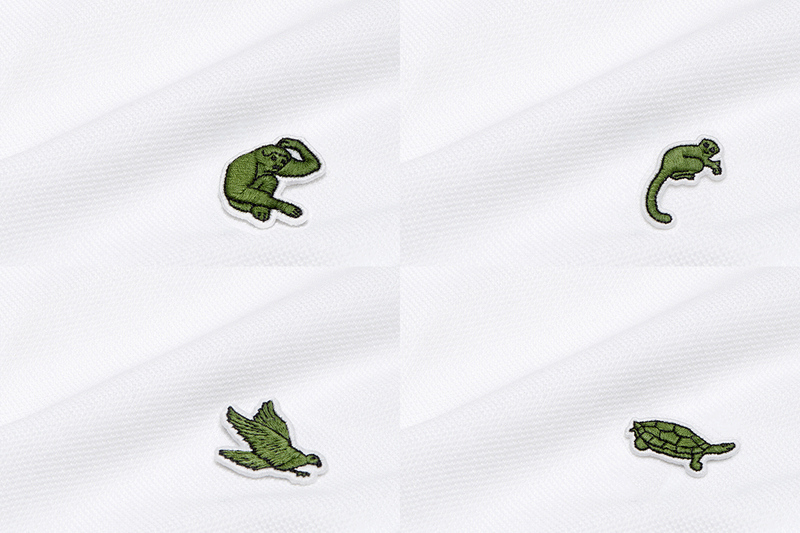 Known for its little green crocodile, Lacoste replaced its iconic crocodile logo with a series of 10 endangered animals to raise awareness about wildlife conservation. The French clothing company launched Save Our Species, in February during Paris Fashion Week – its range of limited-edition polo shirts where the number of shirts available corresponded to the number of animals of the species remaining in the wild – some as few as 30. This marks the beginning of a three-year partnership between the brand and the International Union for Conservation of Nature. Of the animals featured in the 1,175 polos – sold only in the US and some European countries – the vaquita (Gulf of California porpoise) is the most endangered, with only 30 vaquita shirts made. The Anegada ground iguana scored the highest number of shirts in the series, at 450. The range, which sold out within 24 hours, was also made up of shirts featuring 40 Burmese roofed turtle, 50 northern sportive lemur, 67 Javan rhino, 150 Cao-vit gibbon, 157 kakapo, 231 California condor, 250 saola and 350 Sumatran tiger. All profits go to wildlife conservation, half to funding tangible nature protection actions and the other half to improving awareness of the cause. The original little green crocodile pays homage to founder and tennis champion René Lacoste, who was nicknamed The Crocodile . Since the reptile’s debut 85 years ago it has never been replaced, making this campaign a momentous way to highlight a critical issue. The reality that by 2050 there will be more plastic in the ocean than fish is a chilling fact millions are ignoring, but not Burberry. The British luxury fashion house is one of hundreds of businesses pledging to end plastic waste by 2025 by committing to using recycled plastic packaging or materials that compost within seven years. The New Plastics Economy Global Commitment, led by the Ellen MacArthur Foundation in collaboration with UN Environment, was launched in October 2018 to eliminate plastic waste and pollution. 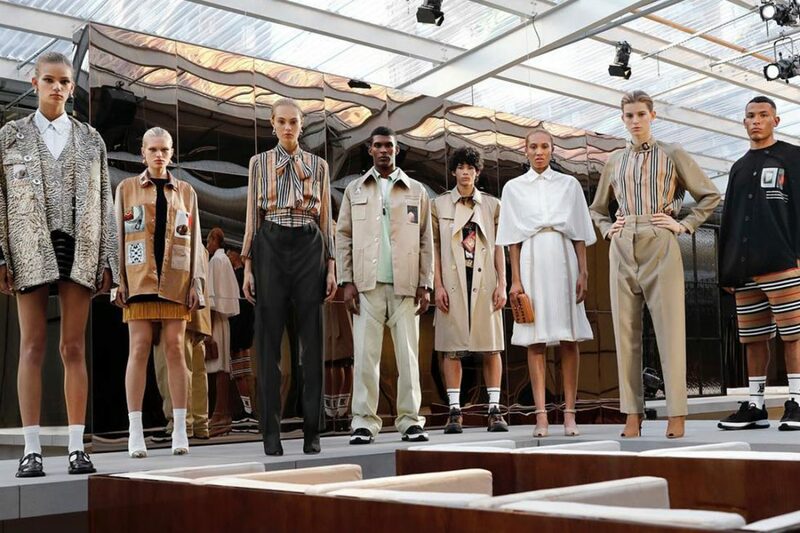 Burberry is among the many high-profile brands including L’Oréal and Stella McCartney aiming to rebrand what normal packaging looks like by eliminating unnecessary plastics, moving to reusable models and recycling plastic already produced into new products. The designer company is among more than 250 large entities, which collectively represent 20% of the world’s plastic production, that have all shown support towards the initiative. Every 19 seconds, somewhere in the world a woman is diagnosed with breast cancer. It’s a startling statistic Estée Lauder Companies is aiming to abolish. Dedicated to creating a breast cancer-free world, the US$11 billion (A$15 billion) company hopes to inspire and unite people globally through its largest philanthropic initiative, The Breast Cancer Campaign. There’s work to be done, #EsteeBeauties. It’s #TimeToEndBreastCancer and @esteelaudercompanies’ global commitment is stronger than ever. Click the link in our bio to learn how you can support the mission to create a breast cancer-free world. Evelyn H Lauder co-created the iconic Pink Ribbon and founded the Breast Cancer Research Foundation in 1993, three years after her own diagnosis with the disease. The initiative has raised more than US$76 million (A$105 million) to support global research, education and medical services since its debut 25 years ago. The Pink Ribbon Campaign, which is active in more than 70 countries, has contributed to decreasing mortality rates by 39% since the late 1980s, and early detection, treatments and surgical techniques have improved dramatically leading to five-year survival rates higher than 90%. “It really is something that can never be done by any one person; it has to be done by a group,” Lauder said. 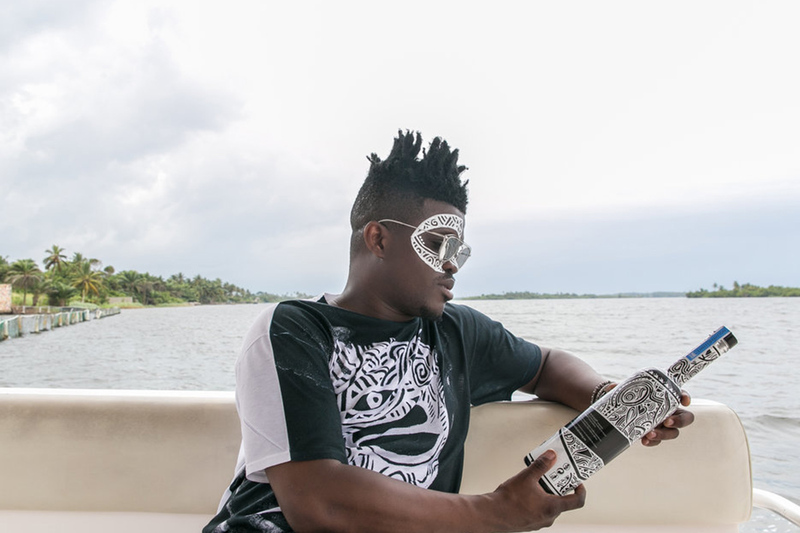 One of Poland’s finest vodkas has been given added zest, with intricate hand-drawn patterns on its container in the hope of shining a light on the fight against HIV and AIDS in Africa. 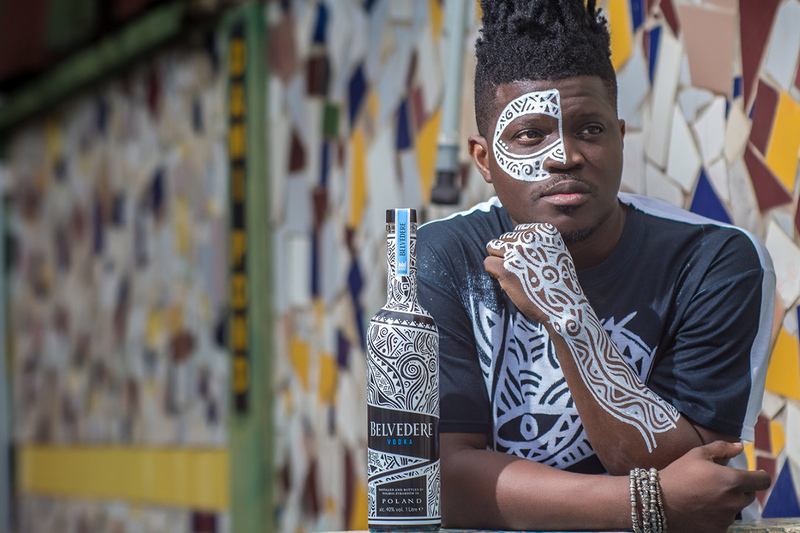 Nigerian-born, Brooklyn-based visual artist Laolu Senbanjo, whose work was featured in Beyonce’s Grammy Award-winning album Lemonade, designed the limited-edition Belvedere bottle – the first of its kind to be created with a full-wrap sleeve. The statement spirit is in its eighth consecutive year partnering with not-for-profit (RED) to support The Global Fund’s work in ending the life-threatening disease affecting more than 36.9 million people globally, 1.8 million of whom are children. 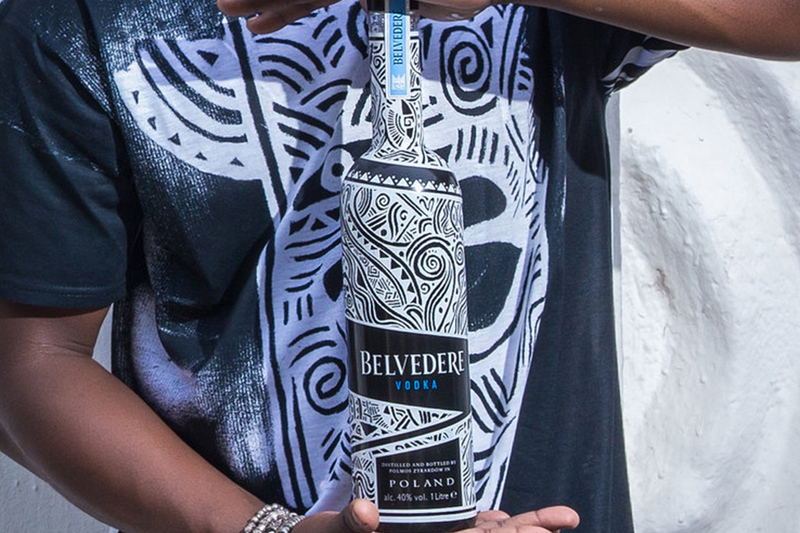 Since the launch of its limited red edition in 2017, Belvedere has helped fund treatment for more than 40,000 women with HIV, and helped prevent transmission of the disease to their children. 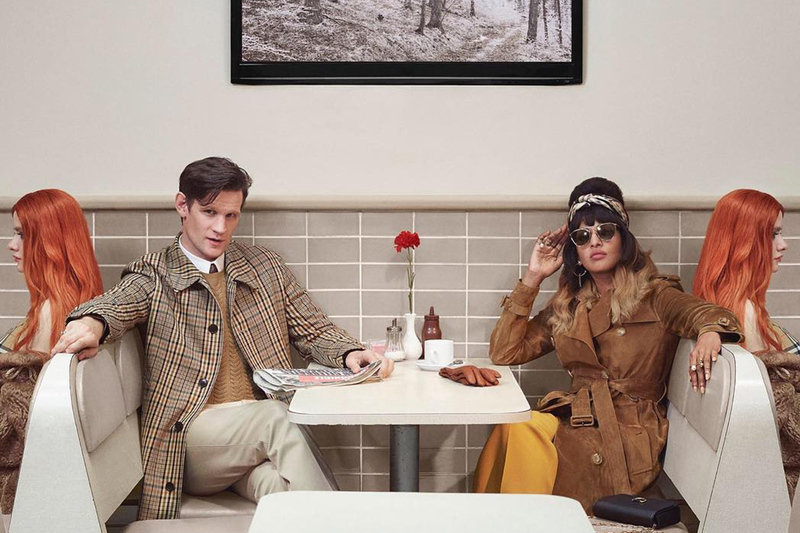 A flock of luxury brands have joined forces to end the fight against cyberbullying. The Kering Foundation, the parent company of Gucci, Balenciaga, Saint Laurent and Alexander McQueen, has vowed to raise its voice and speak out for the 73% of girls who have been bullied or harassed online globally. As more than 1 in 3 young people experience cyberthreats worldwide, the high-fashion companies are encouraging Generation Z (the first generation to spend much of their lives online) to break the chain and defend peers from online harassment by translating hate into something empowering. For the first time, the international luxury group’s brands Gucci, Balenciaga, Saint Laurent and Alexander McQueen will be involved in fundraising efforts. Ten per cent of the retail price of selected products sold between 16 and 30 November will be donated to the cause. The foundation’s 7th White Ribbon for Women campaign also aims to eradicate abusive comments and violence against women while driving awareness of the psychological harm of cyberbullying. 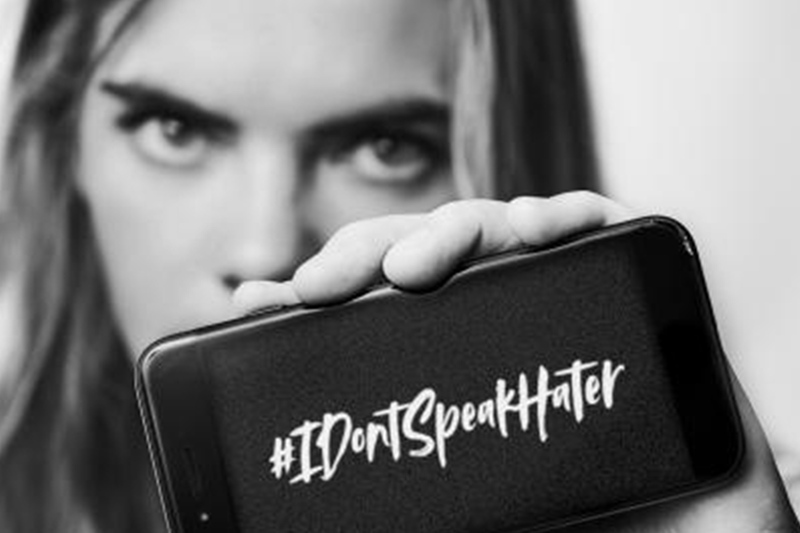 “Instead of staying silent according to the prevailing wisdom ‘Don’t feed the trolls’, #IDontSpeakHater encourages all to reformulate insults with a new meaning using wit or humour, so we can all reject offensive comments and break the chain of hate,” the Kering Foundation states.